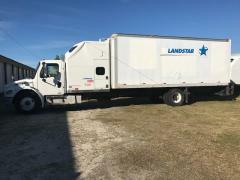 2007 Sterling Acterra Ready PRICE REDUCED. 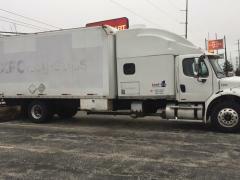 Allison automatic transmission, Mercedes 900 series engine, 1,085,000 miles, 96” sleeper with full size bed, lots of cabinets, sink, big refrigerator, Microwave Convection Oven. 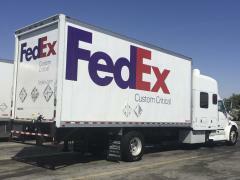 Truck currently with Fed Ex Custom Critical decals. Box has a roll up door, back up camera which can also be turned on manually to monitor the back of your truck from your sleeper. Direct TVSatellite receiver, a 14” Television with Remote Control. Truck is Wired with Panic Button, ready to go with WG DOD loads. Includes 2 Manuel remote controls. Truck runs great, lots of new parts. All records of last 7 years maintanence and new parts. 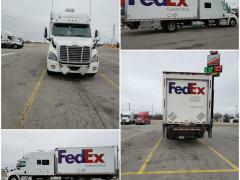 Selling Truck with all securement requirement for FedEx WG, ready to go. 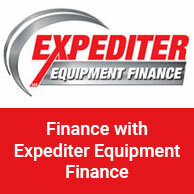 Includes Load bars, straps, pads, and pallet jack. 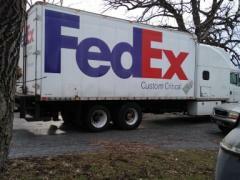 Currently Leased with Fedex Custom Critical. Great starter for a husband and wife team. Also has custom flip over Hazmat Plackerds and 2 large outside storage bins. Fog Lights, Mirror Warmer. Modern radio with video screen SirusXM satellite ready. 7000 Watt Magnum Inverter. Box with roll up door and a metal roof (not fiberglass) inside dimension 92” W X 22 Feet long box is 3 years old. yrs old. Truck is dock high with 2 axles. Tolls with Ezpass same as cars. 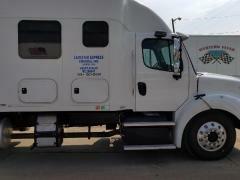 Title 2007 Sterling Acterra Ready PRICE REDUCED.